Clive Thompson LRPS Photography: The rich buying from the poor in 1950s America. The rich buying from the poor in 1950s America. 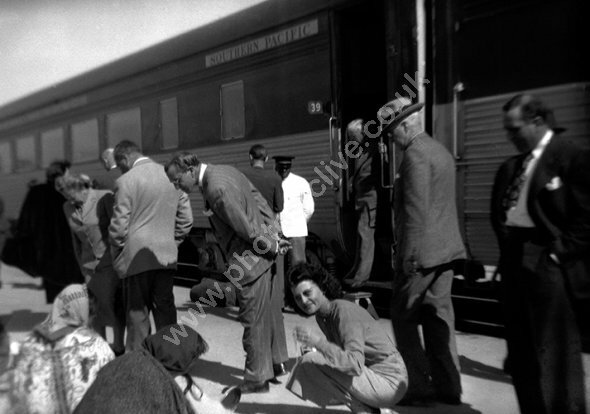 The relatively rich people appear to have just alighted the South Pacific train and have found (what looks like from the rear as) two native American women selling their wares. These wares are being looked at. For commercial use of this photo, including use on another website, please visit Alamy.com and search for M3N9G0. For a one-off print please see below.